Check out these possible additions to any bouquet of flowers for that special person. If you win, you won't need to spread the wealth and share with others. You can keep them all to yourself. Just, enter by 5/20 for your chance. Continental US residents only. LED Lighted Branches with Butterflies from Mark Feldstein and Associates, Inc.
but a touch of Spring as well. 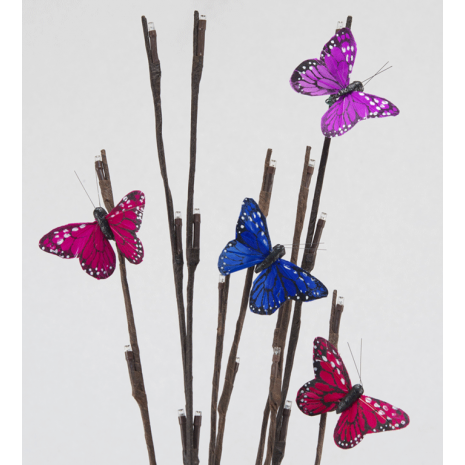 The addition of this set of three, 27-inch Flameless LED Light Branches with Butterflies will add a sparkle of light to your existing floral arrangements or plants to create a stunning decorative element! Battery-operated, each individual light branch has 12 pure White LED lights to create an ambiance in any room. Great for home decorating – year-round endless uses. Includes convenient timer for 6 hours on and 18 hours off. This giveaway is valid in the Continental United States only and entrants must be 18 years of age or older to enter. This giveaway is in no way associated, endorsed or affiliated with Facebook, Pinterest, Bloglovin, Networked Blogs, Instagram, or You Tube in any way. Holiday Contest and Sweeps received a sample of these Branches for review purposes only. Mark Feldstein & Associates, Inc. will be responsible for awarding and shipping of the Branches directly to the winners. The winners will have 48 hours to reply to the prize notification email to claim their prize. Failure to reply in that time frame will result in another winner to be drawn. I would love to have the LED Light Branch with Willow in Fireglazed Vase with Timer! 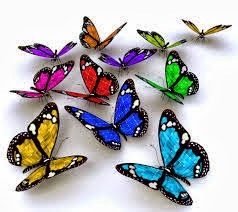 I bet these have a beautiful dramatic effect! I would like the 4-Piece LOVE Votive Set with Tray & LED Tea Lights and the Solar LED Cross. I really like the LED Light Branch with Crystals, Timer and Try Me Packaging. Holiday Canning Jar Lantern with Flameless LED Tea Light Red and Green in 6 Piece PDQ. I could use these for so many different occasions and holidays. I like the solar led cross! I am a HUGE Christmas fan so I'd love to have the Thomas Kinkade Spirit of Christmas Sound Clock! I love the LED Light Branch with Peacock Feathers! So pretty! The Cuckoo Clock Peanuts Christmas Woodstock looks very nice!